The F&P ICON+ AUTO CPAP brings smart new features, sophisticated styling, and a simpler user interface to the already innovative and powerful ICON family. The ICON+ AUTO's advanced auto-adjusting algorithm provides adaptive, personalized treatment while SensAwake and the internal ThermoSmart Heated Humidifier enhance comfort. The ICON+ AUTO's contemporary looks and convenient lifestyle features, like a built in digital alarm clock, make it a welcome addition to the bedroom and an essential tool for your sleep therapy routine. Auto-Adjusting Pressure: Because your sleep habits and needs can vary throughout the night the ICON+ AUTO uses an advanced flow-based auto-adjusting algorithm adapt your therapy pressure to suit your current sleep needs. The ICON+ Auto continuously checks, detects and responds to flow limitations, hypopneas and apneas to ensure successful, comfortable sleep therapy. Contemporary Styling & Lifestyle Features: The ICON+ AUTO's compact body design is contemporary and stylish so it will feel at home in any bedroom. Its forward facing display screen not only allows you to control all of the CPAP's features with the simple SmartDial, it also includes an alarm clock and music playing capabilities. With the included software you can even upload your own songs and have the ICON+ wake you up with your favorite music, so the start of your day will be as enjoyable as your restful night's sleep! Advanced Internal Humidifier with ThermoSmart: The ICON+ AUTO features an internal heated humidifier that holds 420 mL of water for comfortable therapy air all night long. The water chamber is easy to access and remove from a hidden compartment on the top of the machine, and best of all it is dishwasher safe! The ICON+ Auto's ThermoSmart heated breathing tube works to provide optimal humidity and virtually eliminate condensation (or "rainout") for a clinically proven better night's sleep. SensAwake™ Pressure Relief Response: It is natural to experience subconscious waking during the night. During these waking states your full therapy pressure can be irritating causing added wakefulness and less successful sleep. SensAwake searches for patterns of irregular breathing that occur at the transition from sleep to wakefulness; if irregularities are detected SensAwake promptly reduces the pressure to aid the transition back to sleep and effective sleep therapy. 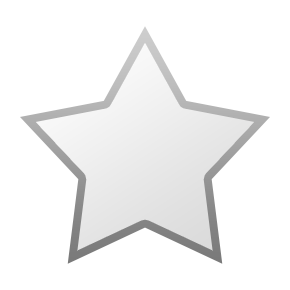 Pressure Ramp: Many people find it is easier to fall asleep with a lower therapy pressure that gradually increases to the full prescribed pressure setting over time. In addition to SensAwake, the ICON+ offers a 20-minute pressure ramp, that can be activated by pressing the SmartDial for 3-seconds, to increase comfort as you fall asleep. Compact & Travel Friendly: Because the ICON+ has an internal humidifier it can be smaller overall than most other CPAP machines with integrated heated humidifiers. In addition it uses an internal universal power supply so it only requires a slimline power cord to plug into the wall. No heavy external power supply required! Smarter Sleep with InfoSmart: The ICON+ AUTO's InfoUSB 2 / SmartStick will record up to 365 days of summary compliance and efficacy data, 7 days of detailed efficacy data (AHI, Pressure, Leak), as well as cumulative data from first use. For quick access and compliance reporting statistics can be viewed on the ICON's screen. More advanced information can be viewed by doctors and sleep therapists using Fisher & Paykel's InfoSmart Software. In The Package:F&P ICON+ AUTO Humidified Auto-CPAP Machine, Travel Bag, Humidifier Chamber, Chamber Lid, ThermoSmart Heated Breathing Tube, InfoUSB 2 Data Recorder, Tubing Elbow, AC Power Cord, Use & Care Manual, and Two Air Filters. Data Included: The InfoUSB data stick records up to 365 days of summary compliance and efficacy data, 7 days of detailed efficacy data (AHI, Pressure, Leak), as well as cumulative data from first use. It works great. The heated tube is wonderful for eliminating nuisance moisture. The auto pressure adjustment also is great with out requiring fixed pressure programming. I upgraded to this machine from a Philips Respironics System 1. This machine is so quiet and compact, and has a much larger water chamber than the System 1. I've had this for about a year and a half and don't plan on changing any time soon! Replacing same machine that died. Great price and fast shipping. I owned one of these for about 4 years. I really liked this machine. One day it quit working and tryed to see if it could be repaired. To my surprise I found out it could not be repaired. I would give the machine 5 stars and the manufacturer 1 star for producing a machine that can't be repaired. 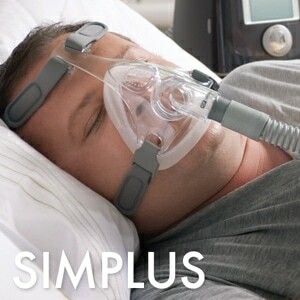 My first CPAP. Was nervous trying to pick one out. Glad I chose this one - quiet, portable, and works fantastic! I've owned three different machines the past ten years, and this is by far the best one! It's so silent I had trouble determining whether or not I had turned it on the first couple of nights. The heated hose and water chamber delivers moisture exceptionally well and helps with the therapy. I would recommend this machine for anyone who needs an automatic machine for therapy. It's brilliant! Machine works great and is very quiet. Very easy to change the water. Takes a little time to learn how to program correctly. Leaps and bounds better than my old machine. The only thing I would like to see improved is turning off the alarm, it requires a menu change with the dial and is a little bit cumbersome. Very quiet, efficient, lots of features. Well worth the price. I love this machine... cannot sleep without it!!! I still have another 2 years until my insurance will pay for a new machine but when I saw the Icon+ Auto CPAP on sale I had to get it. Even if they don't reimburseme me. It's worth every penny. It's half the size of my old machine and replaces my alarm clock. I have room on my nightstand again! With the price being so reasonable, I decided to purchase this machine as a stand-by because my present sleep machine has already been with me for almost 3 years. Since its from Fisher Pykell, I trust the quality should not be an issue. 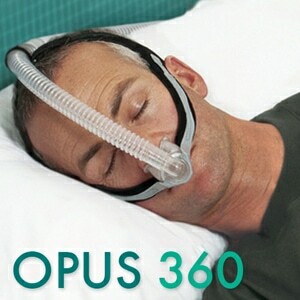 Using a CPAP machine is completely new too me. 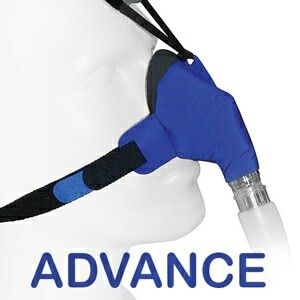 I have had the opportunity to use this machine in both CPAP & Auto modes. I really like this machine in AUTO mode. 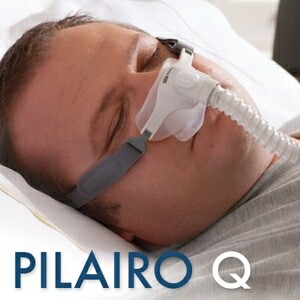 It constantly adjusts too the needs of the patient without exceeding the max pressure derived from the sleep study. Also, the heated tubing is very nice for comfort level in reference to warm or cold air. Please take time to become familiar with the different menus, which are not straight forward to a new user. Some instructional videos are on youtube. Overall, very pleased with the quality of the unit & the purchase price. Looking forward to many more good nights sleep. Approaching 3 years usage. So quiet. Works so superbly in all ways, as compared to my previous ResMed. Very, very seldom ever experience a "rainout". If do, then outside temperature & humidity which has an effect in the house, too, means I need to change the setting by only 1 number. Normally do this sometime in spring and again in fall when we have experienced a major weather change. Just changed it last night. Slept great with no rainout. Currently working on my brother that he needs to replace his antique ResMed with this F & P ICON+. Each of us are self pay, so buying value is very important to us along with the personalized one on one service and communication that the cpapxchange personal provide. 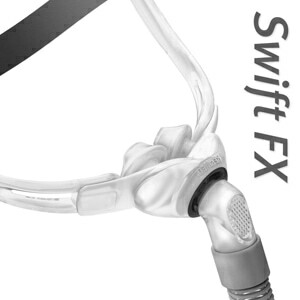 I use the Swift Mirage II nasal pillow mask as it continues to be very highly rated and overall I am pleased with it. Was using a Resmed for 8 years. Was a bit nervous to change for some reason but this machine is really great. Especially like how quiet it is. Great value too. I bought this CPAP over a year ago. I kind of got use to it but I don't like it. It's noisy and when I first tried it had a bad odor caused by the cpap filter, I changed the filter and the odor was gone. I would never buy this brand again. I am very pleased with this CPAP. This is my second machine (for our RV) and happily ordered it because of my good experience with the first (and I wanted it to be the same as my current module for ease of ordering supplies). I'm pleased and this machine was reasonably priced (as this was a self pay for me). Quick, responsive service and excellent packaging. Several automated(?) emails requested my Doctor's Rx so my quick email assured them it had been sent with the order and they responsed within an hour they had received it. Overall, a grand experience and the new machine has been pressed into service and is doing fine. It is so quiet that DH gropes my face as he checks nightly that it is working when he comes to bed. I've had this machine for about a week now and I really like it. It is so much smaller and better looking than my old Resmed VPAPIII. It fits on my bedside table better and also takes the place of my alarm clock. It is also much quieter than the old VPAPIII, but I realize technology is always evolving. The only complaint I have is that the clock is an LCD with a back light. When the button is pressed, the back light only stays on for a very short time. You cannot see this clock in the dark at all. I don't like having to reach over and press a button in the middle of the night to see the time. My old Resmed VPAPIII cost thousands, this cost well under $700 and actually does a better, quieter job. The humidifier is far superior to the Resmed. I hope this will last a long time! My first CPAP machine. Completely silent in my opinion. Awesome features. Love the MP3 player and alarm. Very nicely built and doesn't look like what it is sitting on my nightstand. If I remove the hose it looks just like an alarm clock/radio. Hope it lasts as good as it looks and works at this time. Someone mentioned on one the ICON models about the reservoir being hard to open and close. I do not find it difficult at all. Very well pleased with the machine and with cpapXchange.com . Their service is top notch. Had the machine in 3 days after I ordered.